Here I am again with the difficult task of talking about music. As I have said before, in my Silent Hill Downpour OST review, I know very little of music lingo. I’m not sure what a quick succession of notes is called nor can I give the proper term for a rhythm that uses two or more instruments. But seeing as how that didn’t stop me before, I will do it again for Silent Hill Book of Memories’ official soundtrack. Unlike the Downpour OST, BoM has quite a different feel to it. The album contains twenty four instrumental tracks and two vocal tracks featuring Mary Elizabeth McGylnn. Despite enjoying the instrumental tracks in Downpour, I had little desire to listen to most of them outside of the game. But in the case of BoM, I’m enjoying the instrumentals a lot more. Dan Licht returns but his approach seems considerably different than before. This soundtrack has a lot more variety between its tracks and has a stronger use of electronics. The album starts off with a fantastic opening track that I hope is used in either the main menu or introduction scene of the game. Opening the Book is purely instrumental but incredibly catchy due to its familiar Silent Hill “ringing” and an excellent electric guitar riff. There’s just something about it that keeps with the familiar style of the series while maintaining a fresh sound. The use of an electric guitar also extends into a few other tracks. Water World, Earth World, Steel World, and Wood World all contain a prominent use of the instrument. It seems all the “World” tracks made for the theme of a game’s level contains an electric guitar riffing in the background between accompanying electric sounds. The use of electronic sounds is pretty heavy in this OST and I like it. A lot of these sounds pack a good bass punch and really gives the sense that the game will have minacious environments and themes but more lively than we’ve seen before. I can’t really know that just yet because the lack of gameplay videos but the music is giving a good impression of just that. Blood Boss is an excellent example of this. Like several tracks in the soundtrack, Blood Boss contains operatic sounds to give the impression of a supernatural or spiritual vibe. In Blood Boss, these sounds are accompanied by quick buzzes. The song then moves into a bass-heavy rhythm done by drums, I believe. This is a boss song, and I think it’s great for that purpose. Steel Boss especially caught my attention because it’s catchy too: a real foot tapper. The other “boss” songs are also very frantic—like they should be. A lot of the sounds remind me of the first Silent Hill’s OST but more…Licht-ish. I think Dan really went for a closer vibe to Akira Yamaoka’s work for this soundtrack than he did for Downpour’s. Earth Boss is filled with frantic clashing, an electric guitar and some of the soundtrack’s heaviest electric sounds. I almost wanted to call it a nightmare rave, because while incredibly different from what I’d normally expect to here in a Silent Hill OST, it worked well in conveying “this is a boss battle in Silent Hill. Do or die!”. Comparing it to Downpour’s OST, these frantic tracks are similar in tone to Jump Monster and Clowning Around with Monsters, only a bit more like past soundtracks by Akira. Looking back to the Homecoming OST, Regards is a good song to compare Licht’s Akira influence in BoM’s soundtrack. I was pretty surprised about how much I enjoyed the instrumental tracks in this OST. I wasn’t a big enough fan of Downpour’s to want to listen to them outside of the game (minus Downpour Intro) but this one has a different vibe that I enjoyed more. Perhaps it’s because Dan did something more game-y, closer to sounds of the past. It’s hard to describe but I’m happy with the results. Unlike Downpour’s OST, Book of Memories will have two vocal tracks featuring Mary Elizabeth McGlynn. Her very small role in Downpour’s soundtrack was one of the things I was most disappointed about. But this time, she’s back with two amazing songs. Now We’re Free is a great tracks that blend together the style that fans know, love, and expect from Mary’s talent but also brings some of Dan Licht’s style into it. It also continues the ongoing theme of a Mary track having a title with three words and being about herself and another character. It’s a nice little nod, but onto the actual song. While not being my absolute favorite Mary song, I particularly enjoyed the revolving tone in her voice. Her tone goes up and down and evokes feelings of turbulent emotions. The song then moves to the chorus in where Mary’s iconic pipes go to work. Now We’re Free is an excellent song and proves that Dan and Mary can make some pretty music together. Into Perp Walk was also a good indication of this. Now for the main event: Love Psalm. 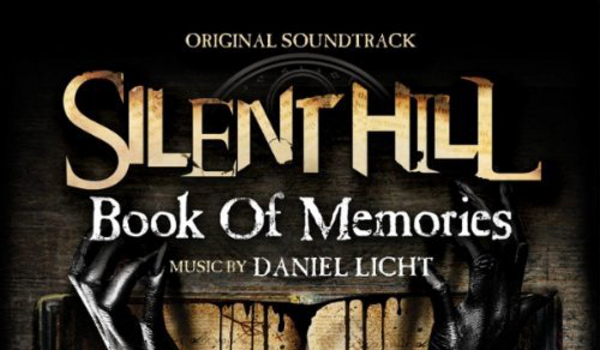 Silent Hill Book of Memories is a game about digging into the town’s past, so naturally we’re going to have a cover song from a past OST. The song comes from Silent Hill 2 and has been infused by the power of rock for this version. There is so much jam and passion in this song! Composed and written by Troy Baker and Rob King, and performed by Eyeshine featuring the return of Akira Yamaoka, Love Psalm melts faces. Akira’s Silent Hill theme solo is an epic cameo that appears in the later half of the song. From the lyrics to Mary’s rock voice, Love Psalm is incredibly catchy. I don’t care how bad I sound trying to sing it; the song just demands to be sung. Troy Baker also joins in later in the song to sing alongside Mary. Being a song from Silent Hill 2, it’s fun to look at it as the two stars of the game’s re-casting, Troy and Mary, to be singing together as James and Maria (or Mary). Although, I think it would have been better if Troy’s voice came in a little bit louder in the last few seconds of the song—just a bit for contrast. Love Psalm ranks right up there with my favorite songs in the series. It’s just a great track to listen to. I was not expecting to put this soundtrack above any of the originals. It does a lot of familiar things but remains distinct enough to be fresh. I certainly enjoyed it much more than Downpour’s. It’s something I can sit down or travel with unlike Downpour’s more theatrical sound. The Book of Memories soundtack is simply right there with Akira’s best work. It’s not my favorite album in the series, but it surprising ranks up there with them. I highly recommend this soundtrack to fans of the series. Dan’s ability to give fans something closer to than they’re used to was a pleasant surprise. The only thing that I really have to say that bothers me are most of the track titles. As with Downpour, the tracks names were pretty bland. The names should be a bit more vague and mysterious, you know? But again, definitely check this soundtrack out. Hopefully it complements the game we know very little about.